What is renewable green energy? Renewable green energy technologies are clean sources of energy that have a much lower environmental impact than conventional energy technologies. Renewable energy will not run out. Ever. Other sources of energy are finite and will some day be depleted. Energy developed using wind, water and sun as sources are clean green energy that has almost nil environmental effect as these are natural and abundant. Wind turbines, dams and solar panels are instrumental in harnessing these energies. A solar panel is a set of solar photovoltaic modules electrically connected and mounted on a supporting structure. A photovoltaic module is a packaged, connected assembly of solar cells. The solar module can be used to generate and supply electricity. It has become a major source of clean green energy. Solar modules use light energy from the sun to generate electricity through the photovoltaic effect. The solar cells convert sunlight into electricity, which can be used to run household appliances and lighting. Homes and businesses have started to install rooftop solar photovoltaics to harness cheap, clean and green energy available. Why is it good to go green using solar energy? • Sunlight is free, so it requires investing for the initial installation and electricity costs will be reduced forever. • The government’s Feed-In Tariffs pay people for the electricity they generate, even if they use it. • If the system is producing more electricity than needed, or when it can’t be used, people can sell the surplus back to the grid. • Cut carbon footprint as solar electricity doesn’t release any harmful pollutants. A typical home solar PV system could save over a ton of carbon dioxide per year. • Businesses are also benefit by reduced operating costs, good investment returns, minimum maintenance required and can labeled as a green company. How much energy do we save by going green? Usage of Solar power initially guarantees that its consumers save 20% off their current power rate. The actual savings amount will fluctuate by usage. Research has shown that, it cost about $10,000 on average for a homeowner to go solar in California in 2011, at the same time the savings made by using solar energy would be more than $10,000 in the next 20 years. Studies estimate that the savings will amount to a whooping 50,000 based on its usage. What is the effect on global warming by using solar energy? Global warming is the one major threat to our environment, utilizing electricity from solar power will result in reduced consumption of fuels, thus reducing greenhouse gas emissions and pollution. By using this alternative source, everyone can participate in the battle against global warming and can reduce dependence on finite sources. 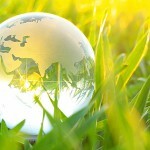 Going green will reduce carbon footprint on a large scale. Once solar energy becomes a staple form of energy source, it may in future reduce the usage of nuclear energy as well. It will boost the health of the environment and its impact on people’s lives, as well as the lives of their children and generations to come. posted on February 22, 2011 Good solutions for your business! posted on February 22, 2011 Make your money work for you!